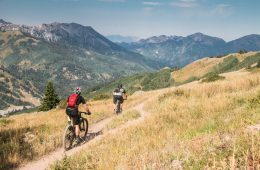 Chasing Epic's owner and founder, Steve Mokan, offers some of his insight into what makes Park City singletrack worth the trip. 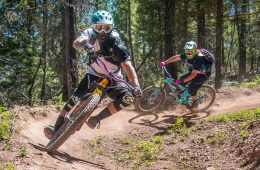 Mountain biking in New Mexico just got a little bit more enchanting, thanks to renovated trail systems around Taos and Angel Fire that are bringing renewed focus to what's sure to be the sport's next big hot spot. 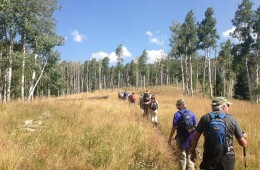 Forms of quiet recreation in Colorado's public lands aren't just a leisurely pastime; it's a burgeoning economic factor that government officials, small business owners, and the public is starting to notice. Chasing Epic is a new kind of adventure travel company offering all-inclusive mountain biking trips for intermediate to advanced level riders. 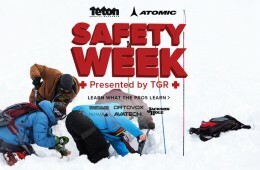 Teton Gravity Research wrapped up Safety Week in Jackson Hole. Check out the videos, articles, and other resources put together by industry leaders and athletes to encourage safety in the backcountry. Join Conservation Colorado at Upslope Brewery this Wednesday for a night of live music, and help promote the Continental Divide Wilderness and Recreation Act, which seeks to preserve our forests as Wilderness Areas for years to come.